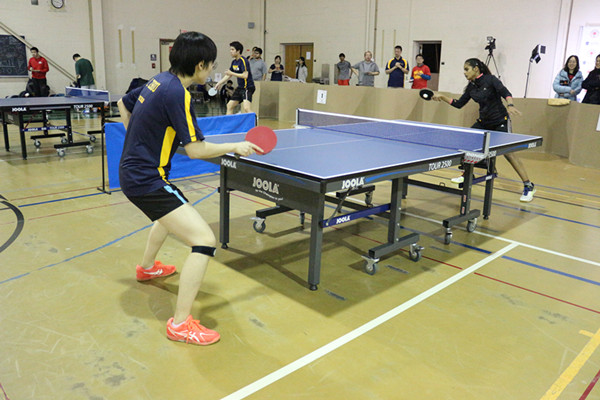 [News from the News Center] At 17:00, March 17 (EST), hosted by the YSU Confucius Institute at the University of Toledo (UT), the awards ceremony for the first “Confucius Institute Cup” table tennis competition was held at the UT Health Education Center. The teams of UT and the Toledo Chinese-American Association won the championships in Group A and Group B respectively. 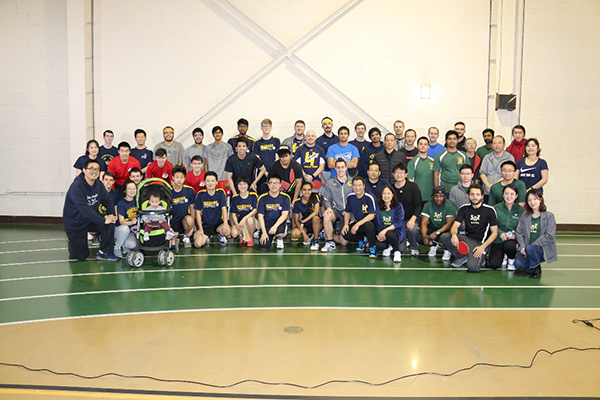 The competition attracted 13 teams from six universities in Michigan and Ohio and some Chinese organizations. Judging by their levels, the participating teams were divided into two groups, Group A and Group B, and two different competition systems were adopted in the twogroups. Group A consisted of8 teams from University of Toledo, University of Michigan, Ohio State University, University of Notre Dame, Wright State University, Cleveland State University, and University of Akron. 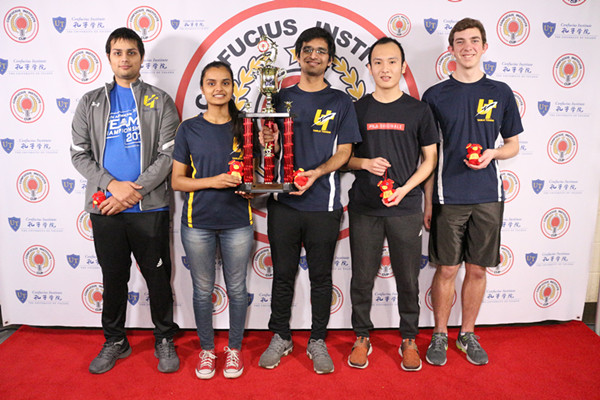 After two rounds of intense competition for six hours, the UT team defeated the team of University of Michigan at 3:1 and won the championship. Group B consisted of 5 teams and they competed for the championship in round robin. Finally, the team of the Toledo Chinese-American Association won the championship. The UT team wins the championship in Group A. 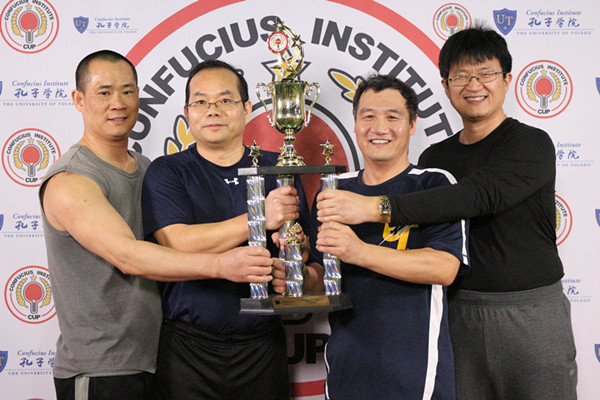 The team of Toledo Chinese-American Association wins the championship in Group B. This is the first time in the region to host such a table tennis event in recent years. The competition will be continued as an annual project of the Confucius Institute at the UT. The competition will attract more universities and teams to participate, which will enhance the influence of the Confucius Institute in the region.